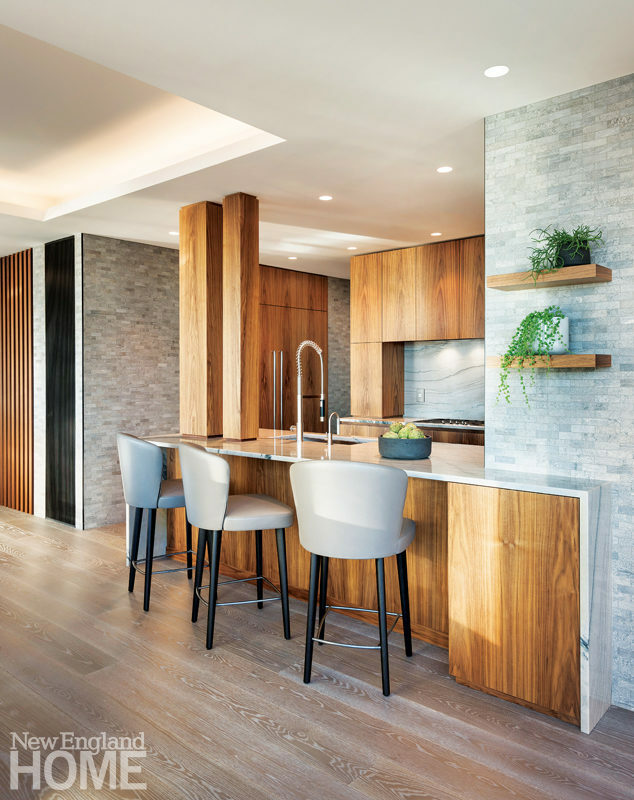 Designer Rina Okawa balanced the clean, geometric lines of the open floor plan with the softness and warmth of natural materials, including walls of walnut and mosaic stone, quartzite kitchen counters, and a leather sofa and lounge chair. The entry greets homeowners and guests with a sense of calm. The television sinks into a hidden alcove in the built-in cabinet, crafted by Woodmeister Master Builders, when it’s not in use. A narrow opening between the kitchen and dining area was dramatically expanded to create the sense of openness. In the dressing room, clothing, shoes, and accessories are all discreetly stored away in walnut cabinets and a dresser. The master bedroom features a custom headboard of dark-stained bamboo. If decluttering guru Marie Kondo ever wants to create a dream house, she could turn to this Rina Okawa-designed condo in Boston for inspiration. The project began with some demolition intended to create more open spaces, including taking down a wall between the kitchen and dining room and combining two bedrooms to create a master suite with a dressing room and Japanese-inspired soaking room. The latter centers on an oversize freestanding tub, specially sourced to accommodate the man’s six-foot-three-inch frame. The geometric lines of the eighteen-year-old condo remain, but Okawa introduced a variety of natural materials to provide warmth. Selective use of stone, such as in the foyer and kitchen, enhances the sense of welcome and serenity. All of the millwork features grain patterns carefully chosen to complement adjoining furnishings. “The idea is that they speak to each other,” says Woodmeister’s Sean Reynolds. The kitchen is a model of efficiency; the clients love to cook, but there’s nary a spoon out of place. Cabinets conceal appliances, and even the power outlets pop back into walnut-covered alcoves when not in use.  With the reconstruction, the cooking area now flows across a marble-topped island into the dining area, which sits in front of knee-to-ceiling windows with sweeping views of the Boston skyline and harbor. A potentially wasted narrow space between the dining area and den is cleverly purposed as a wine cellar, with twin chairs facing the windows for after-work cocktails with a million-dollar view. Cove ceilings help define each space—living room, dining room, and seating area—arrayed before the windows, which have automatic shades and frames repainted from the original green to dark bronze to complement the Okawa design. An inviting leather sofa and armchairs serve to soften the edges of the living room—a function similarly performed by the leather-clad stools at the kitchen counter as well as the Molteni chairs circling the dining room table and the paired Maxalto Febo armchairs facing the Boston cityscape. The shared Japanese heritage of designer and client is evident in the ­tatami room–inspired walnut space dividers and the flower-filled shelf that welcomes visitors in the foyer, reminiscent of traditional tokonoma. Such discreet displays aside, however, what you don’t see upon entering the home are wires, appliances, TVs, or even light switches or power outlets. Okawa, Woodmeister, and home automation firm System 7 collaborated to ensure that all the technology is “a touch away . . . but not in your face,” says Ashley Jacobson, director of operations at System 7. Everything from lighting to shades to the tilting recliners is controlled from an iPad. Toilets open, close, and flush automatically. Every TV in the house is hidden: the flat-screen in the living room rises up from a cabinet built flush to the wall, while the one in the master bedroom lowers from the ceiling. 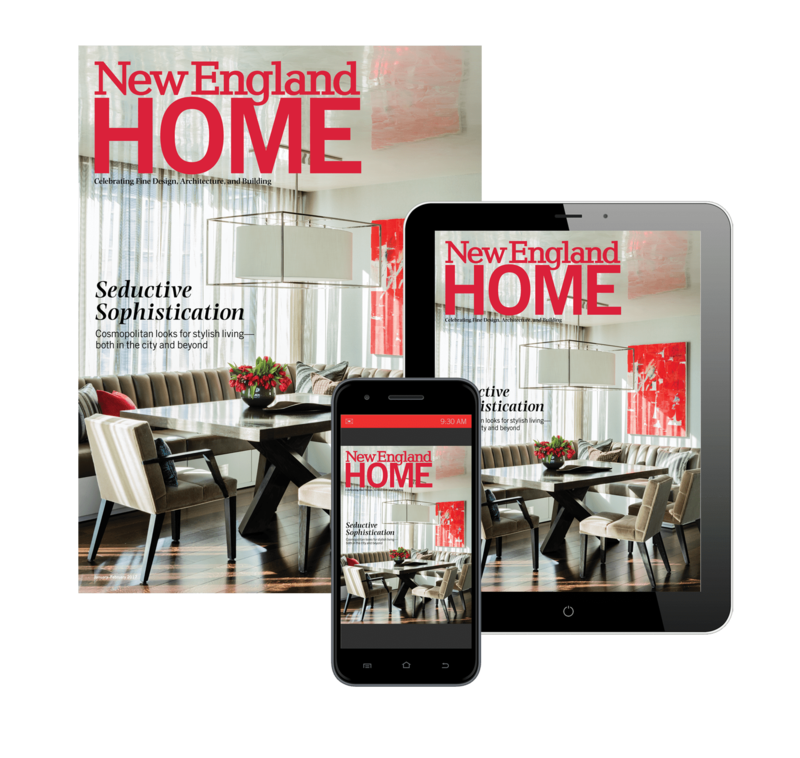 “The client is crazy about high-tech gadgets,” Okawa says. In the soaking room, the TV screen slumbers behind a mirror. Wall thermostats have been replaced by small “eyeball”-type sensors, with the master controls similarly secreted behind a mirror in the foyer. Guests to this fastidiously maintained home are requested to remove their shoes, which predictably find their own spot in a dedicated cabinet beside the door. Even umbrellas are folded neatly away in their own secluded space. Okawa concedes that it was a challenge to incorporate so much technology and still keep the space feeling serene, but the results speak—very quietly—for themselves.